Tooth Eruption is the result of a stage of tooth development where the teeth begin to enter the mouth, and show visibility. The first teeth in a newborn appear around 6 months until two years of age, during the standard teething process. They remain as the only ones present in the mouth until a child is around 6 years old, and this is when permanent molars come in. When the first permanent teeth in a mouth erupt and begin, there is a period of time that has a combination of primary and permanent teeth coming in together, and the remaining permanent teeth erupt into the mouth during the following permanent dentition stage. Since a very young baby can’t necessarily tell you what they are experiencing in terms of pain, this is sometimes when they are known to cry. Many who have taken time to do vast research have definitely come to the conclusion that tooth eruption is at the very least, an incredibly complex process. Some theories that were once believed in heavily have now been disclaimed, and there has been some confusion over the validity of what was explored as causes and the ways in which this takes place. At the current time, the most popular theory is that while several forces may be involved in eruption, most of the provision for this process is from the periodontal ligament. One theory that is known as Growth Displacement Theory explores the notion that the tooth is pushed upward into the mouth by the tooth’s root growing in the opposite direction. Continued Bone Formation Theory was centered around the idea that teeth are pushed upward by the growth of the bone that takes place in the immediate area just outside the tooth. There were also other popular beliefs that explored whether or not teeth were pushed upward by a large amount of vascular pressure, and even wondered about “The Cushioned Hammock” theory. This theory that was widely accepted from the 1930s to 1950s claimed that a ligament below the tooth was responsible for the majority of upwards activity that takes place during eruption. The famous Harry Sicher had observed a ligament below the teeth with a microscope, and deemed it responsible for eruption. Humorously enough, the ligament that he thought he viewed was determined to be a fixture in the actual slide itself, created in the preparation. 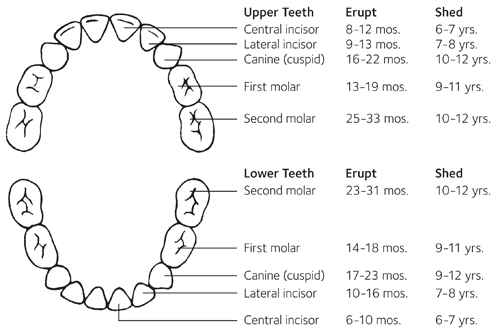 The first permanent molars usually erupt between ages 6 and 7 years, and they are among the teeth that are considered “Extra” permanent, because they don’t replace an existing primary tooth. While these teeth are very important to the strength of the mouth, they actually do not replace existing primary teeth. They will exist permanently, and great care will have to be taken of them to make sure they last through the entire life cycle. These “six-year molars” also help determine what the lower face will have as appearance traits, and greatly affect the position and health of the other teeth in the mouth. 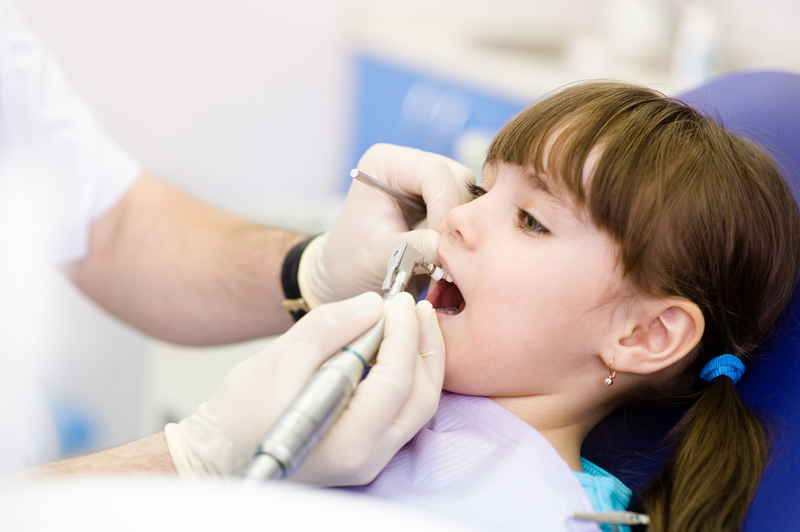 Most children have 28 of their permanent teeth by age 13 years, and here is a list of what is included in this lineup. The last of the permanent teeth to make their appearance are wisdom teeth. They usually begin their eruption between 17 and 21 years of age, and are the furthest back in the mouth. They are not needed for chewing, and it can be a difficult task to keep them clean. 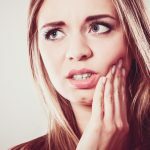 Often times the wisdom teeth need removal, because when third molars are erupted partially or impacted, they don’t come in properly, and can cause pain. The surgery usually takes around 3 or 4 days to recover from, and during this time you cannot have sharp foods, tobacco, and the cheeks are a bit swollen. Usually, when the wisdom teeth are removed, the patient is sedated heavily, to the point of unconsciousness. The first four front teeth usually are the ones to erupt in the beginning, as early as six months after newborn status. Most children will have a full set of primary teeth by age 3, and this is also when the child’s jaw will continue to grow, making room for the more adult teeth that find their way in at around age 6. Primary teeth definitely need to be kept very healthy and clean; this is what will prevent the teeth from getting many cavities, and remaining free of the intense oral pain no one enjoys enduring. When teeth from this early stage are still developing, infection can damage the permanent teeth that are beginning to develop directly under them. 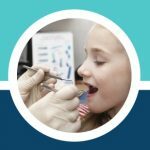 Parents and those who are giving care to the young may not always realize that primary teeth can be seriously decayed, as soon as they are present in the mouth. Baby bottle tooth decay is one condition that can really destroy teeth, and it occurs when sugary liquids are given in too high a volume to a very young infant. 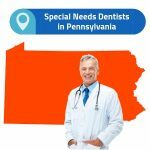 During this crucial time of development and eventual eruption, sugary liquid exposure for long periods of time can have a very negative impact, and end up with you at the emergency dentist. One of the most important things to do during this young stage is to never let a toddler fall asleep with a bottle that has formula, fruit juices, or sugary sweetened liquids. Dipping a pacifier in sugar or honey is a bit too much concentrate for an infant or toddler, and cleaning of the pacifier is a very important thing to make sure that the earliest of the infant’s teeth that come in remain healthy. Wiping the child’s gums with a wet washcloth or a clean gauze pad after each time they are fed can help protect the gums and the teeth that just came in, and it’s very important to begin brushing the child’s teeth with a bit of water as soon as you notice the first tooth appearing. As far as actual fluoride content, it’s best to supervise a child’s brushing to be certain that if the child is under the age of 2, they just use a pea-size amount of fluoride toothpaste, and avoid swallowing it at all costs. 1. The process uses a transition between 2 type of dentition: the Permanent dentition, and the Temporary dentition. 2. This is an occurrence that is very closely related to the development of children, and involves the presence of bone and soft gum tissues surrounding the teeth, as well as tissue modifications, and the roots wear down on temporary teeth, giving way to permanent ones. 3. Eruption is a symmetrical process, occurring at precisely the same time on either side of the dental arch. The dental follicle regulates the process, and resorption and other modification of vital tissues finishes the process. 4. The first stages of development happen during the embryonic stage, and it is not until 20 years later that the permanent third molars or wisdom teeth make their final way in. 5. Since this process is so complex, there have been a few theories that have attempted to explain how this happens, while there is still much to be learned about how this “small miracle” takes place in the mouth. Root Formation: This is the phase that creates an increase in the length of the tooth, and needs to be accommodated by the growth of the root while properly fitting into the bone of the jaw, by an increase in the height of the jaw, or the microscopic movements from the crown. Root growth is the phase that produces force sufficient to produce resorption that the bone needs to extract. During this phase, some structure needs to exist at the base of the tooth, and the entire process of eruption begins. Depending on the rate of which the root is elongated, the bone underneath can find ways to maintain the proper relationship between the bone and the root will assure upwards movement and development. When you encounter many painful issues with your teeth, the roots have nerves surrounding them that are going to make you notice right away the discomfort! Vascular pressure: Vascular pressure and blood vessel thrust are an important part of the process of tooth eruption. Teeth that are developing actually move in their sockets in synchronization with the arterial pulse, and the changes in volume then produce limited tooth movement. When blood pressure in the body changes, this is when eruptive behavior of teeth has been shown to be heavily influenced. The ground substance around teeth can swell up to 50% by retaining additional water, and so this is a vital part of one of the other theories about tooth eruption. The theory revolving around vascular pressure supposed that the large increase of tissue fluid pressure is sufficient to actually move the tooth upward. Bone Remodeling: Bone remodeling is vital to permit the movement of teeth. The germ of the tooth is removed and the dental follicle is left intact, there is a gradually eruptive pathway forming in the region of the overlying bone. If the dental follicle happens to be removed, the eruptive pathway is simply not able to form. As far as eruption is concerned, the follicle provides a source for the cells that form new bones, and control to erupt is possessed by bone-lining cells called osteoblasts. What these cells’ function really revolves around is to round up and expose freshly mineralized bone surface, which provides the stimulus to attract osteocalsts to the site where eruption will soon occur. Periodontal ligament traction: Eruptive force resides in the region known as dental follicle-periodontal ligament complex. This is considered to be a known factor in tooth eruption, because there is a traction power located here that effects the entire complex responsible for tooth eruption. How does age and other factors affect eruption? There are many interesting facts about the age at which both temporary and permanent teeth appear, and there are many different factors that seem to have a different types of effects on the process of eruption. • Gender: Dental eruption interestingly enough occurs on the average earlier in girls than among boys, except for in some instances, the upper first molar. • Height: Many cases draw a distinct correlation between the short height of a child, and dental development such as eruption that may occur late. • Jaws: Within the maxilla area of the jaw, eruption occurs later then in the mandible. • Posterior teeth: The third molars and second premolars are the teeth that are most affected by delayed eruption, and this is collectively known as the “last group”. • Dentition: When eruptions occur late in a patient, they seem to happen much less commonly in the temporary dentition, than in the permanent dentition. • Climate: Warmer and subtropical climates seem to favor faster dental eruption. • Socioeconomic Conditions: Young ones that come from disadvantaged social standing can present a later dental development and eruption of teeth. • Urbanization level: in very urban areas of the nation, eruption doesn’t happen at as low a rate as in rural areas. • Family ranking: eruption usually occurs later in children that are born last in line, rather than the oldest of kin. 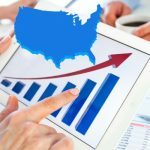 What are some of the reasons early eruption may be delayed?